This blog is a summary of the article CoreSense™ Technology Gives Contractors a Sixth Sense from our recent edition of E360 Outlook. Click here to read the article in its entirety. Compressor failure is a worst-case scenario in commercial refrigeration applications. For supermarket operators, it can mean catastrophic product losses compounded by the expenses of system maintenance, repairs and compressor replacement. For the service technician whose responsibility is to properly diagnose and prevent system faults before they occur, system failures can blemish their reputation. In a perfect world, retailers would keep a dedicated service technician on-site to continuously monitor refrigeration system performance. But in reality, this scenario is just not feasible. That’s why the advent of built-in compressor electronics — like Emerson’s CoreSense technology — is revolutionizing the commercial refrigeration service paradigm. CoreSense technology provides continuous system monitoring, placing protection and diagnostics at the contractor’s fingertips. As contractors more frequently encounter these units in the field, the challenge is to not only embrace their obvious benefits, but to exploit their capabilities to their maximum potential. Designed with advanced communication capabilities, CoreSense technology allows contractors to accurately diagnose and troubleshoot system issues — either at the customer’s site or remotely via mobile device access. PC interface kit — once at the customer’s site, contractors can connect their laptop to the CoreSense module via a USB to RS485 cable. Software then gives the contractor visibility to real-time system data and historical performance to help them quickly analyze and troubleshoot system issues. Remote access — for maximum contractor benefit, CoreSense technology can be paired with a facility management or site supervisory system controller to extend its data to remote technicians in the field, a monitoring service, or a service department headquarters. With remote access, historic system data can be quickly accessed to analyze and troubleshoot errors. In the event of a lockout condition that warrants compressor shutdown, CoreSense technology will stop the compressor until the event has been cleared by the contractor (either remotely or on-site). Fault alarm codes tell the contractor the source of the issue so they can begin troubleshooting. This not only saves retailers the cost of replacing a compressor, it saves contractors time by providing advanced diagnostics through troubleshooting apps to determine the root cause of the problem in preparation for repairs. I recently contributed to an article featured in Progressive Grocer magazine that discussed how food retailers are emphasizing sustainability. Highlights from the article are below. Sustainability is increasingly on the priority list for food retailers. Consumers are often considering a retailer’s reputation, as well as its impact on the environment as important factors when selecting where to shop. In addition to looking at more traditional ways to reduce energy, such as the installation of LED lighting, retailers are looking to their suppliers for solutions to address energy efficiency needs and ensure food safety. Emerson’s ProAct Services provides retailers with remote monitoring services to collect data from sensors that monitor conditions like product and case temperatures. The insights derived from the information gathered around equipment performance and facility operations can contribute to the retailer’s sustainability efforts. The ProAct Services portfolio includes multiple modules to help retailers operate effectively and identify areas for operational improvement. With Alarm Management, Emerson monitors various factors and provides alerts when a potential system issue is detected, which can help save energy and prevent food loss. Web-based reports are generated automatically so that retailers receive valuable insights to help them make informed operational decisions. Energy Monitoring and Targeting uses meter-level data to model energy performance across an enterprise of stores. Setpoint Management helps retailers to sustain energy savings in the long term while ensuring that operational issues are actually fixed rather than masked. And Emerson’s Demand Response Service enables retailers to earn financial incentives, conserve energy, minimize power interruptions, increase energy reliability and protect the environment by reducing power usage at times when demand on the electric power grid is high. Read the full Progressive Grocer article online here. For more than 20 years, Emerson has been helping businesses like yours safeguard food, reduce energy consumption, protect the environment and optimize business results. To learn more about our technology solutions and services for retailers, visit our website. This blog is a summary of the article Simulation Model Breaks the Ice on Meeting Efficiency Targets from our recent edition of E360 Outlook. Click here to read the article in its entirety. System simulation models have been widely used for decades to help commercial refrigeration equipment manufacturers test the impacts of various components and design options. By simulating the steady-state operation of the vapor-compression cycle, these models have served as the basis of predictive evaluation in many modern refrigeration applications. Engineers rely on these virtual models to expedite the design process and test prototypes before proceeding with physical equipment development. This has not been the case with ice machine simulation models … until now. The transient nature of ice machine operation — continually cycling between ice formation and harvest modes — presents challenges in simulating the effects on the system during these transitions. That’s why developing a usable simulation model for the evaluation of ice machines has been historically problematic. It’s also why our engineering team at the Helix Innovation Center decided it was time to tackle this challenge head-on. The release of this simulation model has timely implications for automatic commercial ice maker (ACIM) manufacturers. In 2015, the Department of Energy (DOE) revised its efficiency standards for machines that produce 50–4,000 pounds of ice per day. The ruling will take effect on Jan. 1, 2018, requiring ACIMs manufactured after that date in the United States to reduce energy consumption by 10–15 percent1. Since ACIMs are produced in a wide range of capacities and used in restaurants, hotels, convenience stores and hospitals, compliance to the new standard has broad industry implications. The ruling affects the two primary classes of ACIMs: batch ice machines (aka “cubers”); and continuous ice machines (aka “flakers” and “nuggets”). With the new DOE standard taking effect in a little more than a year, many ACIM manufacturers have either already begun or are planning to kick off the engineering design cycle. Our new ACIM simulation model is available to help our customers meet this fast-approaching deadline. To verify the validity of simulation data, results from the model were compared with the experimental data of a standard 500-pound capacity ice machine, operating under various ambient air and water inlet temperatures. Key measures of the ice machine’s performance include: cycle time (duration of freeze and harvest cycles); energy input per 100 lb of ice; and energy usage during a 24-hour period. Against these measures and in a variety of operating conditions, the model achieved accuracy levels within 5 percent. Now that it’s established, the ACIM simulation model enables the prediction of component performance, evaluation of loads under different operating conditions and assessment of system design changes — all within a virtual environment. We’re looking forward to working with our ACIM OEM partners to help them achieve the efficiency levels set forth by the DOE. I recently wrote an article featured in HVACR Business Magazine that discussed how HVACR contractors could be a valuable partner to their clients. Highlights from the article are below. The food retail industry is constantly evolving. Retailers are faced with shifting consumer demands, intense competition, razor-thin profit margins and changes to store formats. Many retailers are seeking flexible infrastructures to meet these needs without sacrificing sales or increasing costs. Integrated facility controls and remote monitoring services provide the best visibility into system performance across an enterprise of stores. In addition, remote monitoring allows precise tracking of store conditions and issues alerts when equipment is not operating properly. With a centralized facility management platform and actionable insights through monitoring services, HVACR contractors can assist retailers with attaining operational improvements through proper equipment maintenance, efficient service and actionable insights. For contractors, implementing installations correctly the first time is the best way to secure and maintain a relationship with food retail clients. Integrating all store equipment into the existing management systems through the latest connected technology is a great solution for retailers. HVACR contractors have the ability to access facility systems to remotely manage settings, software and firmware updates through IoT, rather than manually onsite. Connected facility management systems can be updated remotely ensuring consistency and accuracy across an enterprise of stores. 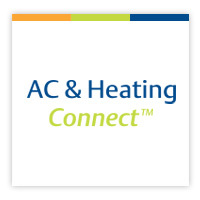 HVACR personnel can log into the software to view the status of various connected equipment and work to solve problems in real-time. In some cases, they can fix the issue remotely, reducing trips to the store. In the event of a service issue that requires an HVACR contractor visit, clients can be sure that knowledgeable, experienced technicians will fix their equipment issues. Because of alarms, the technicians will know the proper equipment to bring to resolve the issue and can work on multiple system issues at one time. Food retailers with multiple sites are usually stretched pretty thin. Working with qualified HVACR partners to implement the latest integrated facility management systems will help retailers make better informed decisions for operational improvement. Read the full HVACR Business article online here.